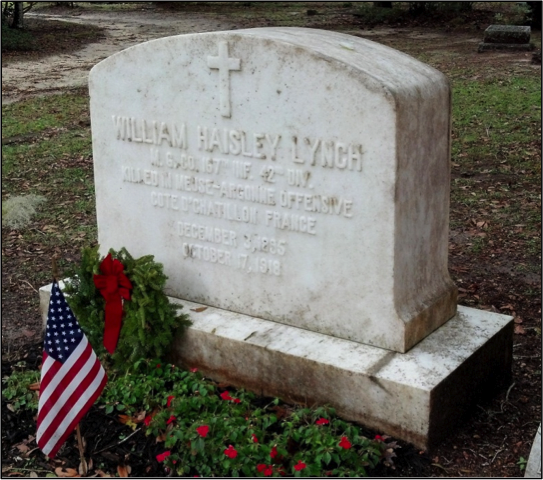 Born in 1895, William Haisley Lynch was the last Alachua County resident killed in action during World War I.
Lynch was killed at Cote de Chatillion, France just days before the end of the war during the Meuse Argonne Offensive. 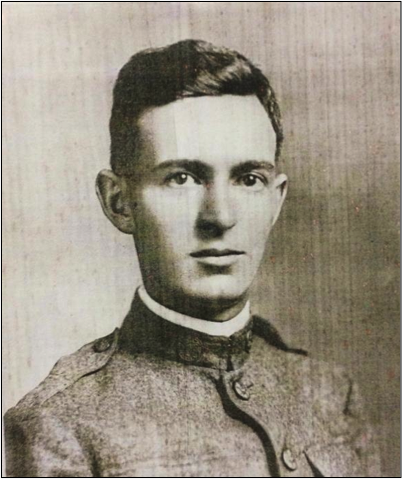 His father, Louis Lynch had enlisted at 50 and had also served in Europe during the war. Having been notified of Haisley’s death he found his sons burial place and had Haisley returned home. The local post of the American Legion is named in his honor. The area in Gainesville now known as Lynch Park was given by Haisley Lynch’s Mother to the city of Gainesville in honor of her son. At that time it was called Haisley Lynch Memorial Gardens.